Please note that this current website does not have a shopping cart. To buy our Human Skulls online, please go to our e-commerce website at NaturalExotics.ca. 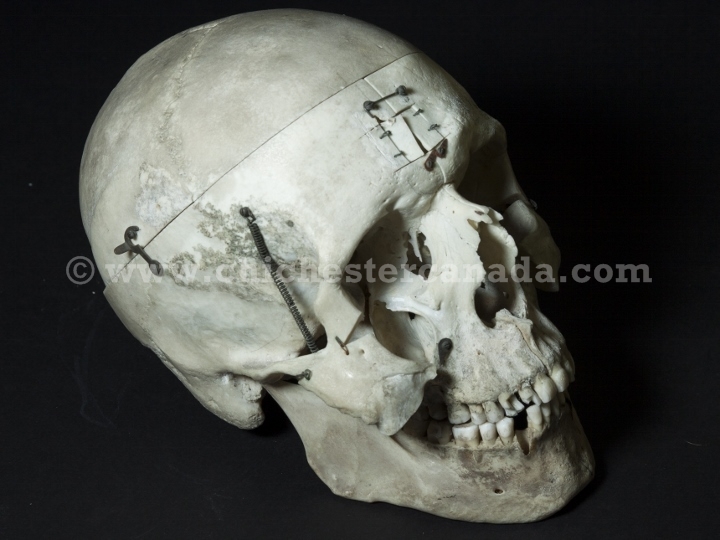 Once in a while we may come across a medically prepared human skull. To the best of our knowledge, the specimens were obtained legally for educational purposes. See the gallery on NaturalExotics.ca for what we have available. Three states in the USA (New York, Georgia, and Tennessee) prohibit the import and export of human skulls across their state lines.